As Zimbabweans welcome North Korea cult worship leader, a Kombi overturned in Bulawayo city on Saturday. FESTIVE SEASON ACCIDENTS: At least 40 people died last night after a Brooklyn bus from Zvishavane to the South Africa Musina exploded into flames on Thursday night. VICE PRESIDENT CONSTANTINO CHIWENGA IS hospitalised in South Africa, after falling sick and abruptly leaving a politburo meeting on 2 October 2018 when he fell violently sick, and was rushed to hospital later the same night. SOUTH AFRICA’S APARTHEID ERA Foreign Affairs Minister Pik Botha died peacefully in his sleep at the age of 86 in the early hours of today. SOUTH AFRICA’S APARTHEID ERA Foreign Affairs Minister Pik Botha died peacefully in his sleep at the age of 86 in the early hours of today. Roelof “Pik” Botha (1932-2018) is on record as the world’s longest-serving foreign minister from April 1977. More news to follow. By Sibusiso Ngwenya. CORONATION OF NDEBELE KING BULELANI KHUMALO in defiance to the constitutional barring of it by the government, is a cultural event of no significance to governance of the nation, according to the Zimbabwe government. More news to follow. By Sibusiso Ngwenya. INTERAFRICA BUS FROM BULAWAYO MUTARE; -An Interafrica bus from Bulawayo to Mutare was involved in a head on collision with a UD truck yesterday near Masvingo and six people were killed. This angry response by Ramaphosa was a result of Trump;s earlier tweeted this week where he reportedly stated hat he wanted his secretary of state to investigate land expropriation without compensation in South Africa after FOX News, reportedly incorrectly reported that South African law had already been changed to allow the South African government to take land from white farmers without compensation and that government was doing so amid the “large-scale killing” of white farmers…. 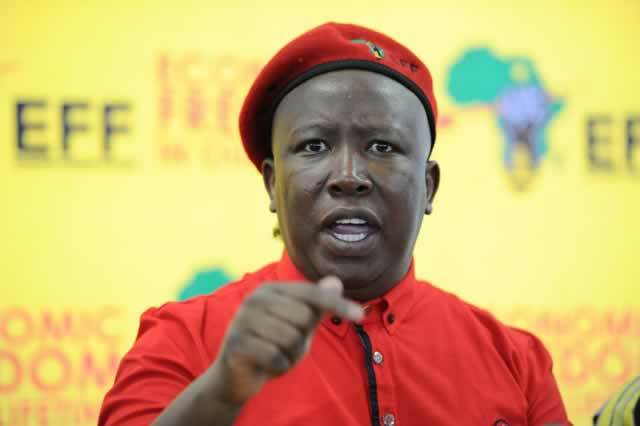 JULIUS MALEMA SAYS the 53-member common wealth is “presided over by the coloniser” and to respect it, “perpetuates white supremacy”and has called on South Africa to pull out of the Commonwealth. ZIMBABWE WAR VETERANS, say they support South Africa’s decision to expropriate land without compensation from the minority whites and redistribute it among the majority black South African population.